Here's a blog entry on Life Catalyst Consulting I wrote on Worship Transitions... the scariest word in the worship world! Want to cause a senior pastor or worship pastor nightmares? Just mention these two words and watch beads of sweat appear on the forehead. Nothing shy of stapling your tongue to the wall can be compared to transitioning a church into different worship styles and expressions. What is the best approach? It could be argued that unless you are a new church and less than 7 years old, you are already in transition. We are seeing musical styles change faster today. Worship elements that were considered “cutting edge” in 2000 are now passé and dated. If your worship is considered “contemporary”, worship will morph and change. But nothing can compare to altering established worship, especially if that service has experienced some form of success and growth. This kind of change is monumental even if you are keeping a traditional or blended service “as is” and adding a new service. I found this video on YouTube by Brian McLaren who is a pastor, speaker, and author. He has one excellent book he co-wrote with Tony Campolo entitled "Adventures in Missing the Point: How the Culture-Controlled Church Neutered the Gospel.' I couldn't agree more with the message of this video. By making it pretty it ends up cheap. Worship Talk. It's been a familiar discussion topic for many years. I often say that "if I had a dollar every time I discussed, wrote, addressed, read anything about "worship wars", I could comfortably retire. It's been a hotbed of discussion at seminary, work, around friends and at home. It's on the mind of so many people. We are almost obsessed with the polarizing politics of worship. When a new person considers visiting a church, the first thing that comes to mind is "How's the Worship?" And rightly so. We want to attend a place that defines us...that fits our style. "I don't care for that other church down the road with the music they use." "If they don't do something about the music, I'm moving my membership, or at least holding back my tithe." "This kind of music can't be Godly." "This kind of music does not prompt me to worship." With today's culture, variety of music in worship and our "Have It Your Way" mentality, people shop churches like they shop a car. When it "feels" right, I'll get in and drive a while, but I'm not committing my whole life to this one place. I may need to switch down the road. Ok.. Here's the deal. I understand all the angles we use today to rationalize worship style preferences. Yes, we want to equip people to worship. Yes, we want to "try" to be all things to all people. Yes, we want to connect to those who need Christ. Yes, we want to honor the saints. When will we realize that worship isn't for us. We say that "we understand this concept" but do we really? We say "I worship God" but our feet speak louder than our words. I believe that we idolize our style of worship. It's a continuation of the "me" generation and it's been around for a while. Yes, music is the universal language and certainly is a tool to reach others for Christ. I agree. But there is something that seems foul in our churches today when the kind of musical style we select heralds over the people and the work of the church. We've drilled the church down into a consumer mentality that is frantically trying to market itself to reach more at the risk of being true to not ourselves but to God. Think about this: Maybe God wants you to worship Him when things don't quite "feel" our "sound" right to you. I'm sure the the Apostle Paul didn't quite feel right when he worshipped God in prison. I just wonder what God thinks of our worship wars. What do I think? Let the church be the church and not the music. And the church is the people. When you don't like the music, focus on God and then focus on people. Let God be the driver. You sit in the passenger seat. Don't trade the car in for another. Give yourself to the work of the church and let God take care of the music. I just read an awesome post by my friend, Rich Kirkpatrick. His post, "What do you do when you are no longer the focus of your church programming" is a very well-written post on this topic. Check it out HERE. My friend Scott Dyer at Bent Tree Bible graciously hosted Willow Creek's Nancy Beach today during lunch. VCC's Creative Arts team is reading through Nancy's book "An Hour Every Sunday." Awesome session. She talked about adding to our exising "toolbox" of art to communicate more effectively. She also discussed the process of worship and how Willow Creek transformed their two-part worship into an organic, interwoven-style of worship that segments the message with creative elements. When the whole service works together and also uses multiple art forms to communicate, transcendent moments happen in worship. It was great to have Clay Crosse in from Memphis, TN. 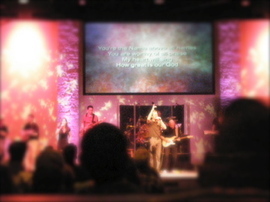 Clay led VCC in worship for the week-end. Thanks Clay for allowing God to work through you. We enjoyed your leadership from the platform and your friendship. 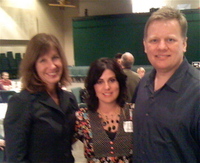 VCC hosted Clay & Renee Crosse this weekend. What a powerful testimony and time of worship! Clay led all 4 worship gatherings alongside our worship band and BGV's (BackGround Vocalists). The presence of the Lord was evident. Our people worshipped and many came to make decisions. For the past decade, God has blessed Clay's music career. 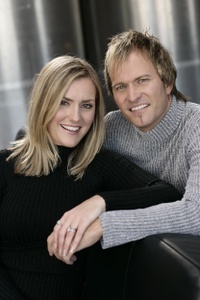 A Dove award for Best New Artist of the Year and subsequent nominations for Male Vocalist of the year. 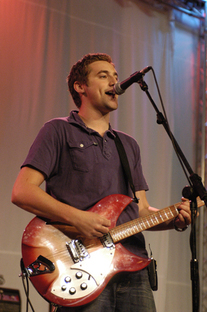 With songs like "I Surrender All" and "My Place is with You," his first four albums produced no less than eight #1 singles. Included in that roster are CCM's 1997 Adult Contemporary Song of the Year, "He Walked A Mile," and last summer's "I Will Follow Christ," the powerful collaboration between Clay, Bob Carlisle and BeBe Winans. These accolades are not part of their venacular. Today Clay and Renee focus on their ministry to families: Holy Homes. Clay's solo ministry has certainly taken off again with the song "Believe" with some future songs in the works. 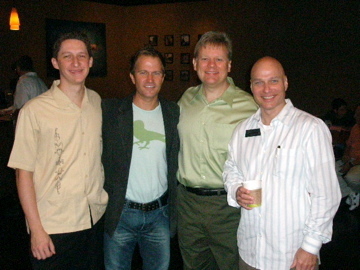 Clay's heart is in stregthening families through sharing the redemptive power of the Lord through music and testimony. It was an awesome weekend! Thanks Clay & Renee for sharing with us how God can heal homes today. One of the largest Worship Leaders conference has been in session literally in my backyard. Transcend 1.0 is being held at the Gaylord Texan and today I went to hear Tim Hughes lead worship. Tim is the worship director at Holy Trinity Brompton in London, and is best known for the song Here I am to Worship. Tim and company really ushered in the presence of the Lord. The place was packed and the singing from the crowd was heavenly. I also heard Ross Parsley of New Life Church (not to be confused with Rod Parsley). Ross is the Worship Leader and Interim Sr. Pastor at New Life. That Interim title may become permanent. I thought he did a terrific job of bringing the Word. In my worship design, I often use Ross' "Amazed" and "I am Free." Jerry Kerns -"The whole person, with all his senses, with both mind and body, needs to be involved in genuine worship." C.S. Lewis -"The most valuable thing the Psalms do for me is to express the same delight in God which made David dance." Graham Truscott -"When God's people begin to praise and worship Him using the Biblical methods He gives, the Power of His presence comes among His people in an even greater measure." Charles H. Spurgeon -"God is to be praised with the voice, and the heart should go therewith in holy exultation." 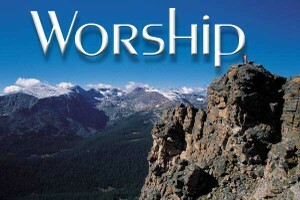 A. W. Tozer - "Without worship, we go about miserable." Manley Beasley -"'A glimpse of God will save you. To gaze at Him will sanctify you." C. S. Lewis - "We only learn to behave ourselves in the presence of God." Michael Catt -"If we are going to worship in Spirit, we must develop a spirit of worship." Jack Hayford -"Worship changes the worshiper into the image of the One worshiped"
Awesome lyrics. We're singing TO God here not ABOUT God. I'm using a couple of kickin trumpets to add some energy along with a rockin E.Guitar that my man Chris O. will bring. This is the Cottrell arrangement but I'm not doing the How Great Thou Art lead-in because it looses too much energy and I want to drop it down just a half notch here. The choir and congregation sing this well. We are agreeing together how great He is. Hey, it's still an awesome song. Didn't it just win a Dove? Complete- Andrew Ulugia. This is the Parachute Band from New Zealand arrag. We did this last Sunday and our people are lovin' this song. The Holy Spirit is moving on this one. We're leading up to a congregational prayer time like they do it at Brooklyn Tab right after this element. Amazed- Jared Anderson. This is one of my favorite songs of 2007. I think Parsley put it out last year but anything that communicates the Zephaniah 3:17 reference has won me over. I've got a great female soloist singing the lead-in in A. And we should always be Amazed. 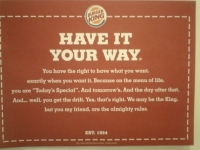 Read this related post HERE. When I Think About the Lord - James Huey. This is pretty much the Hillsong arrang done by Jason Breland. 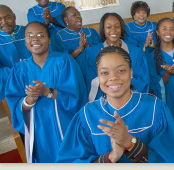 This is the "worship choir" number although everyone in the church will know it. We did this song last year and the choir really worships on this element. Brandi and Eric are doing the duet lead-in and ad libs. That's pretty much it. We've got some a couple of hymns at the decision slot that fit to the pastor's message. We've got a "Church Town Meeting" after the worship to discuss some church stuff. Then I'll do the Pot Luck Side Step and find some of my own food.